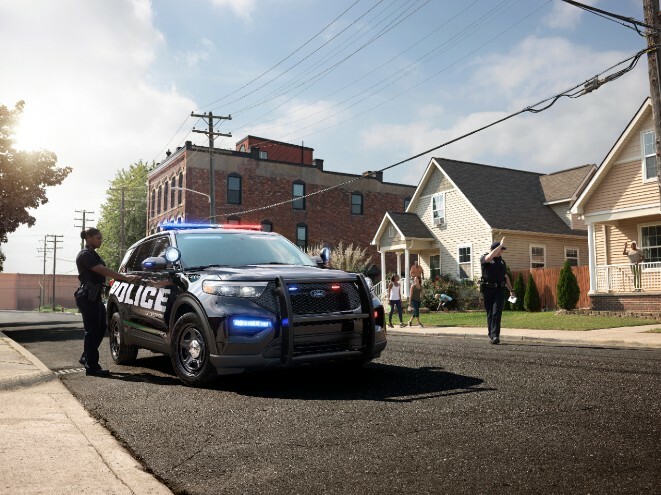 Prior to the reveal of the 2020 Ford Explorer and 2020 Ford Explorer Hybrid, the 2020 Ford Police Interceptor Utility broke cover and established itself as the new must-have LEO vehicle for police departments around the country. 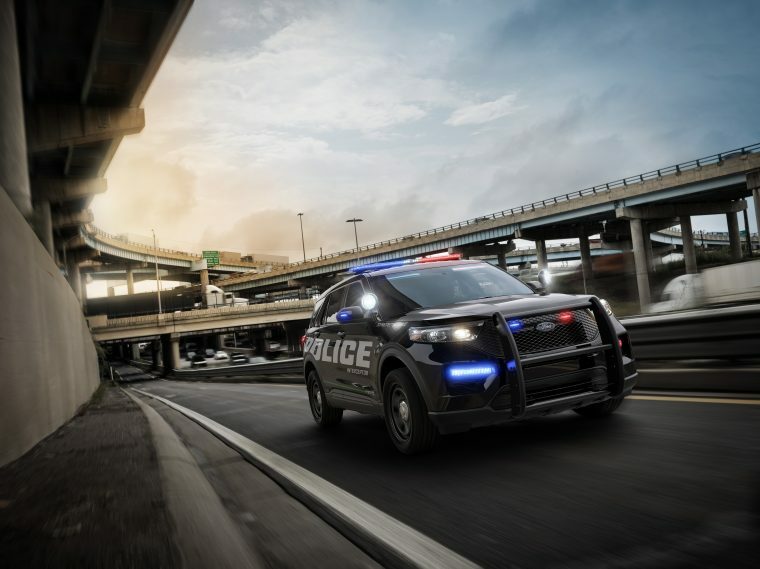 The 2020 Ford Police Interceptor Utility brings with it a standard hybrid all-wheel-drive powertrain that’s estimated, when compared to the Interceptor Utility’s outgoing 3.7-liter V6, to help police agencies save an average of up to $5,700 each year in fuel costs per vehicle. Even with an EPA-estimated 24 mpg in the city, the all-new Interceptor Utility is pursuit-rated; it was shown in testing by the Michigan State Police to deliver a faster lap time, 0-60 mph time, and 0-100 mph time than both the outgoing Interceptor Utility and every other police utility vehicle except for the 3.0-liter EcoBoost-powered Police Interceptor Utility. 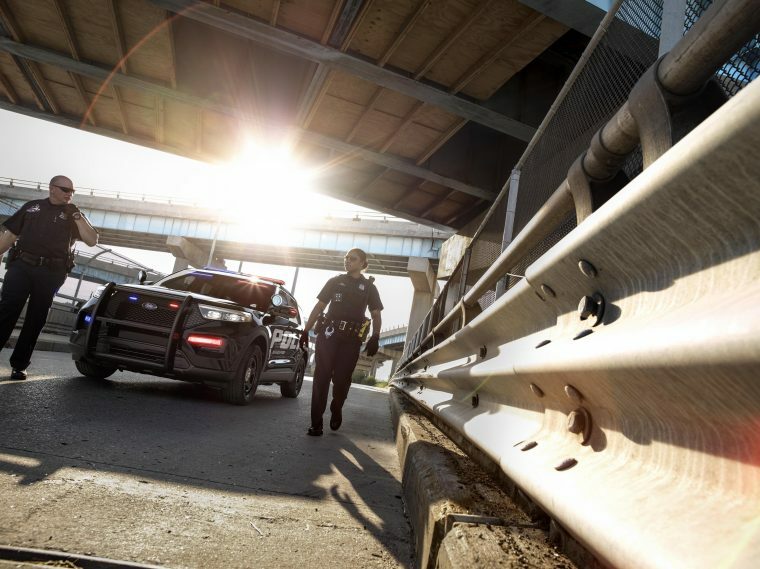 New for the Ford Police Interceptor Utility are technologies like Police Perimeter Alert, which monitors a 270-degree area around the vehicle and notifies officers of a potential threat. The Interceptor Utility and Police Responder Hybrid Sedan are standard with a Ford modem with two years of Ford Telematics services. Sixty-five percent of all police vehicles sold in the United States in 2017 were Fords, and the addition of the 2020 Ford Police Interceptor Utility will likely build on that impressive market share for the year ahead. Ford’s LEO vehicle lineup also includes the Police Responder Hybrid Sedan, F-150 Police Responder, Expedition SSV, F-150 SSV, Transit Prisoner Transport Vehicle, and Special Service Plug-In Hybrid Sedan.